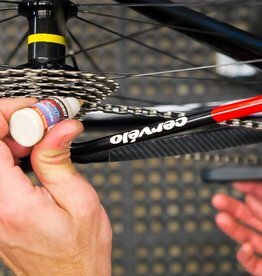 We specialize in high end bicycle repair, but we also offer complete maintenance and repair services on most bicycles. We understand that each service or repair need is unique, and strive to offer the best balance of mechanical perfection and cost effectiveness. Our quality of service is well known throughout the valley, and is due to a well designed system we've created to guarantee high quality service time and time again from all of our mechanics. We use a mechanical checklist system- preventing oversight and mistakes. 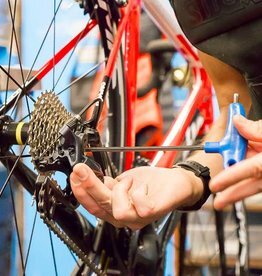 We fully torque-spec every bolt on every bike that we tune. We at least frame polish every bike we work on (most receive a full tear down and degrease). We test ride every bike we work on. 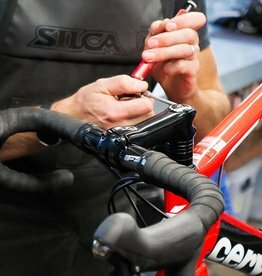 Every bike worked on is second-checked by our head mechanic. These steps result in consistent, high quality mechanical work every time. We add final piece of mind with a 30-day service warranty on all work we do. If you have any problems with the work we performed we'll fix the problem promptly and without charge. 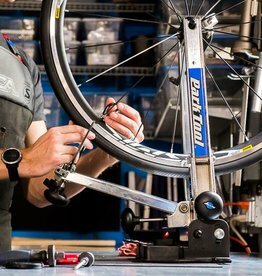 We love to help walk-in clients, but if you ride nearly every day you can schedule a time to drop your bike off. This results in the fastest possible turn around times on most services. 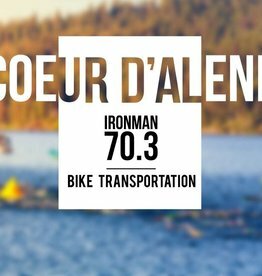 We transport bikes for Boise-based athletes to key races around the region.